Suicide Squad director David Ayer recently took to Twitter to side with a Batman fan who didn’t like one of Joker’s lines of dialogue about Harley Quinn. Recently, David Ayer has been more open than ever about issues he had with his DC film Suicide Squad. 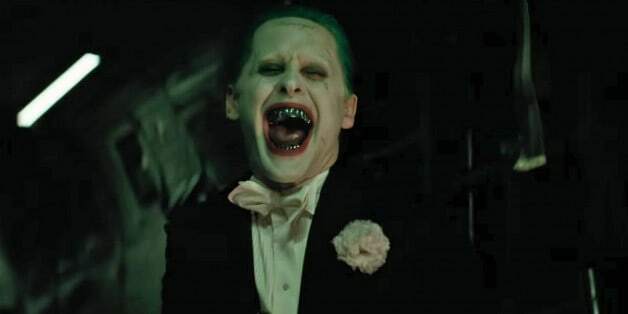 The film has plenty of fans and was a huge box office success but one thing that it seemed most audience members had an issue with was Leto’s portrayal of the Joker. Although the clown prince of crime was shown significantly in the Suicide Squad trailer, the character only had a handful of brief appearances during the film. It’s been long-rumored that the post-production process of Suicide Squad was a huge blunder, eventually leading to a trailer house rumored to have been one of may editors to deliver a chopped-up version of Ayer’s original vision. Though Ayer obviously wasn’t super negative towards the film when it first hit theaters, he’s been responding to fans online about the film’s production more recently. He hasn’t dropped any huge bits of information but has hinted at certain things in the film that happened beyond his control. For instance, a fan on Twitter recently threw some shade at Ayer for a line in the film in which Joker states that he’d do anything for Harley. Ayer responded but instead of disagreeing with the user and explaining his thought process to him, Ayer instead seemingly agreed with the fan, revealing that it was a line he was pushed to include or maybe didn’t even write at all. Check out Ayer’s response below. No. Just no. The most important thing to Joker is Batman. When Suicide Squad hit theaters, another common complaint amongst DC fans who didn’t connect with the film was that they felt the character were mishandled. Though certain characters, including the Joker, may not have been very accurate to the books, Ayer seems to actually understand the characters quite a bit according to his reply. Batman and the Joker’s relationship over the decades has been one of the most iconic relationships in comic book history, even more so than Joker and Harley. Despite the iconic rivalry between Batman and the clown prince of crime, Batman only had a brief appearance in Suicide Squad. Though Batman v Superman suggested that Let’s Joker was responsible for the death of his Robin, Jason Todd, the story detail has yet to be explored on the big screen. This is especially surprising considering Ayer was long attached to be helming the Gotham City Sirens movie, though there currently seems to be no movement on the film in favor of Birds of Prey and the Joker/Harley movie from Glenn Ficarra & John Requa. We’ll be sure to keep you updated on all news regarding the DC universe as soon as more information becomes available. What were your thoughts on Suicide Squad? How would you like to see a sequel improve on the first film? Let us know your thoughts in the comments below! Well, this wasn’t exactly the first time a version of Joker had sweet-talked Harley as an emoioanal manipulation technique. yEUP NOW THE JOKER IS BEING ABUSED AGAIN, CEPT ITS ACCEPTABLE BECAUSE PHOENIX IS IN THE ROLE, BUT PHILLIPS IS A HACK, JUST LIKE AYER, THE WRONG GUYS ARE BEING PICKTED TO MAKE dc FILMS. wb HAS NO IDEA WHAT THEY ARE DOING.